Today we are talking about the new arrival wedding collection by Saadia Asad. As we know that Pakistani women always want to get something new and latest things. 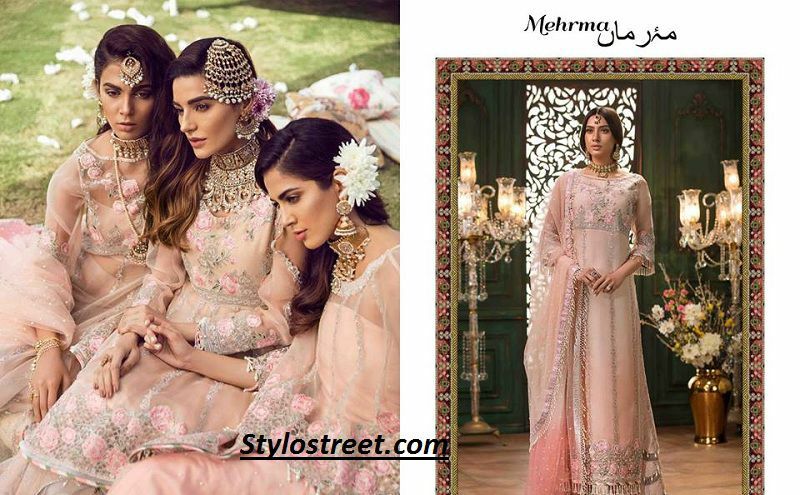 Therefore, here we are going to share chic and glamour women brand Saadia Asad who is recently launched Noor Wedding Collection 2019. This winter wedding collection by Saadia Asad is containing luxury styles with elegant designs that will give you a prominent look at this winter wedding season 2019. Today in our this post we are present to you a beautiful bridal wedding dress for cute girls. As we all know that a wedding is one of the important occasion in a women life. Therefore, these luxury embroidered styles winter wedding dresses will give you the best personality & look. Here in this post, you will find something new and more beautiful as previous posts. As we know that the month of Rabi-ul-Awal begins and it is one of best month for a wedding. And mostly wedding is held in this blessing month. Due to, this reason Noor Jehan Winter Collection for Bridal by Saadia Asad are sharing. Every piece of this winter bridal collection is containing elegance and beautiful looking dresses. Each piece of the unique collection is containing festive evenings when you are looking to wear something new and beautiful.